GT-02 Dragonfly which is with double-blade-sharing-one-axis structure and with stable and silent flight is designed by professional engineers. Excellent design for your indoor flight. Pre-position servo mounts for easy setup. Ready for flight out of box except 8"AA" battery for controller. 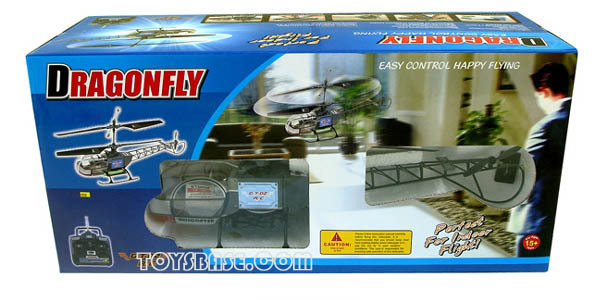 Helicopter can be controlled up, down, left, right, back, forwards, side to side bank & hover. 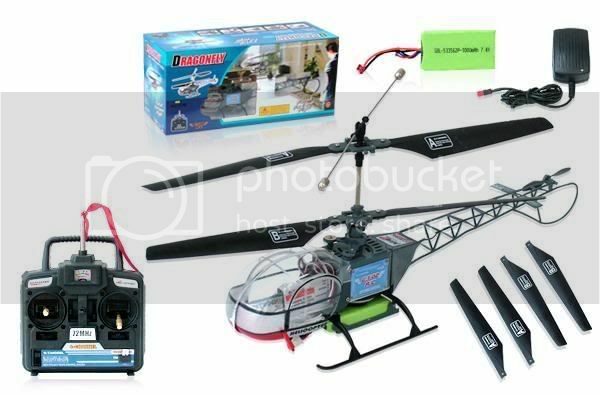 Some adjustments may need to be made on the trim tabs on the transmitter or servo rods to fine tune the helicopter for best performance.